Your smile is one of the first things that people notice about you but over time its brilliance can dim. Tooth whitening is a cosmetic dental procedure well-established for its safety that can dramatically change your smile and appearance. It is a bleaching process that lightens discoloration of enamel and dentine. Tooth cleaning (scaling and polish) is recommended prior to the actual Zoom! whitening. What causes tooth discoloration? There are many causes. The most common include ageing and consumption of staining substances such as coffee, tea, colas, red wine, tobacco from smoking, etc. During tooth formation consumption of tetracycline (an antibiotic drug) or excessive flouride may also cause tooth discoloration. Is the process safe? Yes, research and clinical studies indicate that whitening teeth with Carbamide Peroxide and Hydrogen Peroxide under the supervision of a dentist is safe for teeth and gums. 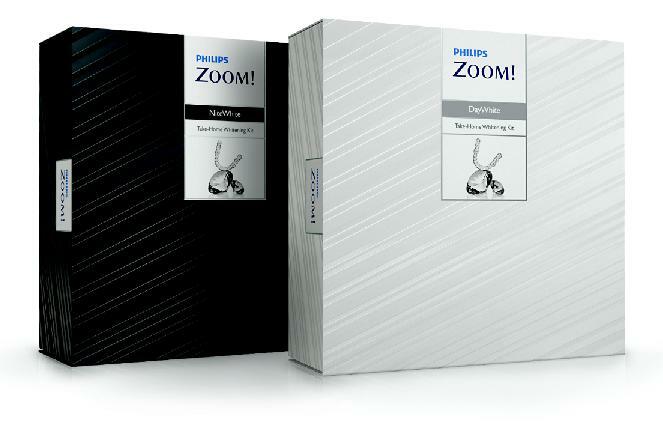 As with any tooth whitening product, Philips Zoom!® is not recommended for children under 18 years of age and pregnant and lactating women. Is tooth whitening safer than drinking a soft drink beverage? Yes. A study showed that enamel exposed to 10% carbamide peroxide solution for 6 hours lost an average of 1.06 µg/mm2 of calcium, while enamel that was exposed to a cola beverage for 2.5 minutes, which is the approximate time teeth are exposed when drinking a soft drink, experienced an average calcium loss of 1.25 µg/mm2. The main conclusion drawn was that the measured loss was not clinically significant and that the whitening process did not pose a threat to enamel in the presence of human saliva. The potential demineralization effects from a daily whitening regimen is less than drinking a soft drink beverage or orange juice and does not pose a threat to enamel. How does it work? As the active ingredient in the gel is broken down, oxygen enters the enamel and dentine and bleaches the coloured substances. Is the structure of the tooth changed? Is the outer enamel layer of the tooth eroded or does it become thinner? No, the structure of the tooth is not changed. Only the tooth colour is made lighter. Are there any side-effects? Some people experience temporary increased tooth sensitivity to cold during treatment. These symptoms disappear within 1-3 days after interruption or completion of the treatment. Does everyone have success with tooth whitening? The vast majority of people experience dramatic results. A very small percentage do not. The degree of whiteness will vary from patient to patient, depending on the structure of the teeth. In the case of home whitening the result can also vary depending on the number of whitening applications and/or the duration of time that the whitening system is used. How long do results last? The teeth will always be lighter than they were before. However, some patients may need a tooth whitening “touch-up” for 1-2 days, once or twice a year. In order to maintain the whitest tooth shade possible, it is best to try to avoid substances like coffee, tea, colas, red wine and tobacco. I n-office whitening can help resore a healthy, vital and brilliant smile in a safe, convenient and easy way. The combination of a professionally applied whitening gel activated by a special light can result in dramatic aesthetic transformations. During your diagnostic visit, your MySmile dentist will take impressions of your teeth. This allows the dentist to make a custom thin plastic gel-holding appliance called a whitening tray which will be used in the future for a “touch-up” when needed. At your second visit, the in-office tooth whitening procedure begins with a preparation period during which the lips and gums are protected and protective eyewear is worn. The Zoom! whitening gel is painted on the teeth and the Zoom! Whitening light is positioned and switched on. A study has shown that use of the Zoom! lamp increases the effectiveness of the Zoom! gel by 26% or more. The actual whitening session takes just 45 minutes and while your smile is being restored, you can relax and listen to music. 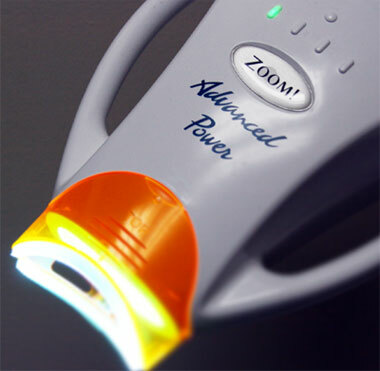 Saftey note - Light sensitive individuals, including those undergoing PUVA therapy (Psoralen+UV radiation) or other photochemotherapy, or patients with melanoma, should not undergo the Zoom! in-office procedure. Also, patients taking any light sensitive drugs such substances, should consult their family doctor prior to the procedure. Anyone who is not eligible for Zoom! in-office whitening for these reasons may be an excellent candidate for the Zoom! home whitening system. Are there any side-effects associated with the Zoom! in-office procedure? Sensitivity during the treatment may occur with some patients. The Zoom! light generates some heat which is the usual source of discomfort. On rare occasions, tingling sensations are experienced immediately after the procedure, but this is only temporary. Any symptoms disappear within 1-3 days. During your diagnostic visit, your MySmile dentist will take impressions of your teeth. This allows the dentist to make a custom thin plastic gel-holding appliance called a whitening tray. At your second visit, you will be fitted with take-home whitening trays. You will also be given specific instructions on how to apply the gel and how often to wear your trays. Basically, a small amount of whitening gel has to be applied in the whitening trays and the trays have to be inserted in the mouth and worn, usually at night. The trays can be worn any time that is convenient; night-time wear is not mandatory. Maximum results generally occur when the process is continued for 10-14 days/nights. Skyce by Ivoclar Vivadent is about putting an extra sparkle into every smile. It offers the professional solution for stylish tooth jewellery. The tooth jewels can simply be bonded to the tooth surface without damaging the tooth surface using tried-and-tested materials. No local anaesthetic is required to get your tooth gem attached to your tooth. The crystal glass stones are available in two different sizes: small and large. At MySmile we give a 6-month guarantee for tooth jewellery. If the jewel comes off within 6-months, we will re-do it for free. If it doesn't come off during the guaranteed 6-month period, it usually lasts for years. Is the tooth damaged when having a tooth jewel attached to it? No, the tooth surface is not damaged. The tooth jewel is simply bonded onto the surface of the tooth used a special adhesive glue. Can I have the tooth jewel removed in the future? Yes, it can be removed very easily. This is a completely reversible treatment. More commonly known as a “white filling”, the main advantage of this material is its high aesthetics and for this reason it is the most commonly used restorative material. An adhesive is used to make the composite stick to the tooth and this strengthens the tooth structure. Composites come in a variety of shades and your MySmile dentist will pick the shade which matches your tooth to make the filling virtually impossible to detect. This filling material is placed into/ onto the tooth and contoured and then a special blue light is shone onto it. This light makes the composite completely hard and after some polishing to give the white filling a nice glossy finish, you can chew and eat immediately. Unlike metal fillings, tooth-coloured fillings appear natural and the bonding process can strengthen the teeth. How long do bonded composite fillings last? There are many variables including the size, location and biting forces that can affect the longevity of the filling but generally speaking a composite filling usually lasts between 7 and 10 years. A layer of highly-aesthetic white composite filling material may be bonded to the visible surfaces of front teeth usually to improve the shape and appearance of the front teeth. You may want to consider composite veneers If you have discoloured teeth, worn teeth, spaced teeth, if your teeth are not properly aligned or if you don't like the shape of your front teeth. What is the difference between composite veneers and ceramic veneers? Both can be used for similar problems but ceramic veneers will generally last longer and look better. Veneers are thin layers of custom-made all-ceramic material (sometimes also referred to as dental porcelain) which are bonded to the teeth's surfaces usually to improve the shape and appearance of the front teeth. You may want to consider all-ceramic veneers If you have discoloured teeth, worn teeth, spaced teeth, if your teeth are not properly aligned or if you don't like the shape of your front teeth. Two appointments are usually required to make a veneer. 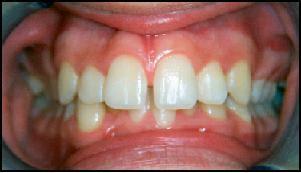 At the first appointment, a small amount of tooth is removed to make room for the veneer. An impression is taken of the prepared tooth or teeth and a temporary restoration is placed, ending the first appointment. The impression is used by the lab technician to make a model on which the veneer is made. At the second appointment, the temporary restoration is removed, the tooth is cleaned and the veneer is bonded with dental adhesive cement. How long do veneers last? With care, veneers should provide years of service. What can cause a veneer to chip, break or come off? Habits such as fingernail biting or pencil chewing can cause this. Can I have veneers if I habitually clench and grind my teeth at night (bruxism)? In your case, a bruxism splint or nightguard is recommended to be worn at night to help protect your veneers. A crown consists of a restoration which completely caps or covers the tooth or implant. Broken teeth or teeth which have large defective fillings can be restored to their proper form, function and appearance with crowns. Teeth which have had a root canal treatment should also be crowned to help protect them from fracture. Crowns an also be used for cosmetic enhancement. Two appointments are usually needed to make a crown. The shape of the prepared tooth is important for retention of the crown so it is often necessary to build up the tooth with a filling before preparing the tooth for a crown. The tooth is then prepared so the finished crown has room to slip over it (like a glove). An impression is taken of the prepared tooth and a temporary crown is placed, ending the first appointment. The impression is used by the lab technician to make a model on which the crown is made. At the second appointment, the temporary crown is removed and the new crown is bonded with dental adhesive cement. The tooth is now restored to a healthy functioning state. What can happen if I do not have a crown done on a root-canal treated tooth? Although the root-canal treated tooth (restored with just a filling) may last for a while, the end result is usually fracture of the tooth. 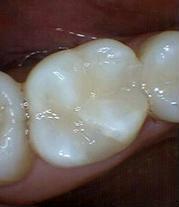 At this point it is usually too late to save the tooth by having a crown made and the tooth may need to be extracted. A bridge is a fixed restoration used to replace a missing tooth or teeth by fixing it permanently to the adjacent teeth or implants. 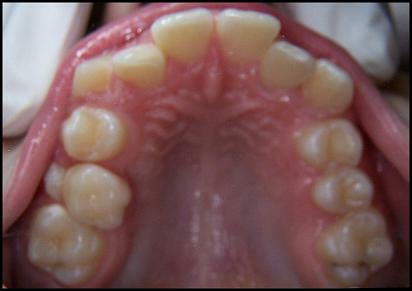 Fixed bridges can restore missing teeth to their original form, function and appearance. Two appointments are usually required to make the bridge. 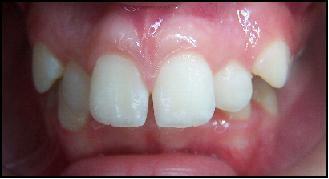 At the first appointment, the teeth on either side of the space are shaped and prepared. 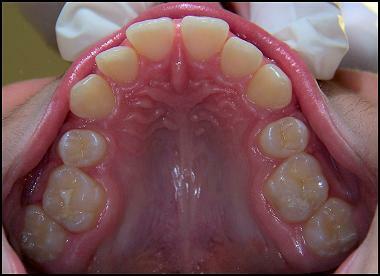 An impression is taken of the prepared teeth and a temporary bridge is placed, ending the first appointment. The impression is used by the lab technician to make a model on which the bridge is made. At the second appointment, the temporary bridge is removed and the new bridge is bonded with dental adhesive cement. Why should missing teeth be replaced? The two main reasons are appearance and dental health. What can happen if a missing tooth is not replaced? Teeth adjacent to a missing tooth will tend to drift into the space. 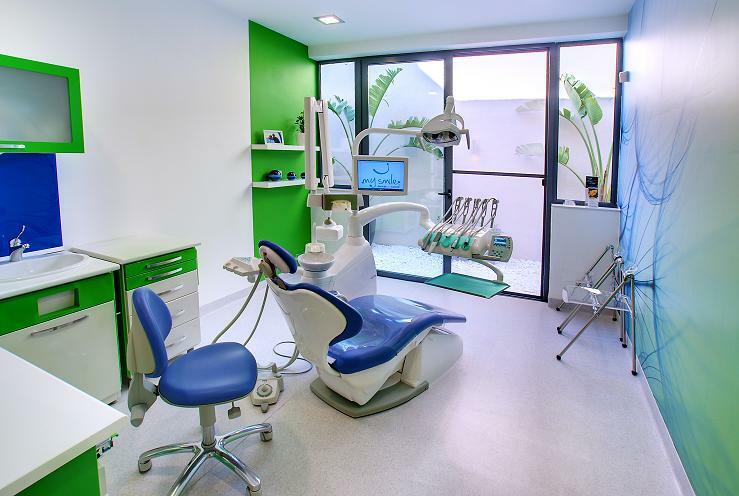 Areas such as this can collect food and plaque easily which can lead to decay or gum disease. Teeth opposite the space can also drift into the space created by the missing tooth (over-eruption) causing more problems. The CEREC system is one of the most advanced cutting-edge products in the world of dentistry and is considered as the gold-standard. It makes use of high resolution 3D photography and CAD/CAM (Computer-Aided Design and Computer-Aided Manufacturing) to have the restoration fabricated. When the design is complete, the information is sent to a machine which cuts the restoration from a solid block of material using diamond burs. Since CEREC restorations do not contain any metal, the restoration is translucent and allows light to shine through it, resulting in impressive aesthetic results. Orthodontics is a Greek word that literally means ‘to straighten teeth’. Straight teeth and a beautiful smile are the ultimate goal in orthodontics. A comprehensive screening for orthodontic needs should be part of every child's dental examination from an early age. Early monitoring of the size and position of the jaws and teeth can lead to interceptive measures that can make later treatment easier. Every person's case is different and specific recommendations can only occur on an individual basis. A removable appliance consists of a clear acrylic appliance which is used to move teeth. It usually contains springs which are activated on regular visits to gently move teeth into the desired place. It's use is limited to particular cases and usually in children only. The patient must fully cooperate by wearing the appliance full-time or else the teeth will not move. It must be removed to clean it after eating and for routine tooth brushing. Special requests such as having the removable appliance made in a particular colour instead of clear acrylic or incorporating glitters within the acrylic can be accomodated. Images of child's favourite cartoon character, football club badge or any other image can be incorporated in the acrylic covering the palate of the mouth to help encourage the child to accept and enjoy wearing the removable appliance. A fixed appliance consists of brackets, archwires and elastics all carefully designed and engineered to move teeth into a healthy and attractive position. 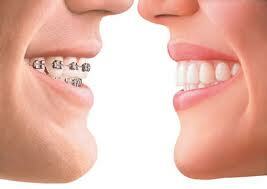 The braces are usually made of metal but sometimes a transparent material can be used which is less visible. Usually braces are visible because they are placed on the front surface of the teeth. However, other systems such as Incognito and Invisalign are virtually invisible. A consultation with an orthodontist will help you decide which braces are best fit for your case. Tooth movement does not depend on patient compliance since the braces are fixed to the teeth and the patient cannot remove them. Does it hurt? When bands or appliances are first placed or adjusted, there may be some discomfort. Is it important to keep my braces clean? It is very important that you maintain very goodoral hygiene while having orthodontic treatment, otherwise your teeth may stain or decay. Regular toothbrushing, flossing and the use of an oral mouthrinse are essential.